The growing Avatar base of satisfied clients is constantly making us proud of the service we provide and inspires us to work even harder on delivering nothing but impeccable quality. For all the time we’re present on the market, Avatar Dialler has bridged communication between agents and their customers, allowing companies to improve the image of their brand and offer outstanding support. On this occasion, however, we want to share a new expert opinion that once again confirmed Avatar Dialler is indeed many customers’ favorite support software. In a recent detailed Avatar Dialler review here published by FinancesOnline, the platform’s expert team of B2B professionals concluded that our product responds to all criteria required to acknowledge it’s quality with two of their prominent SaaS awards. 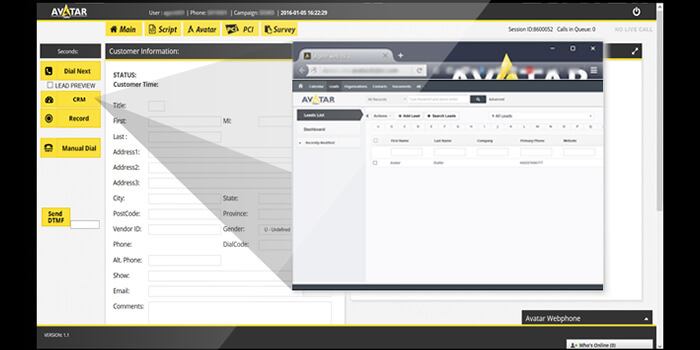 This reputed software review platform distinguished Avatar Dialler as one of their top performers in the call center software category, and recognized us with the Rising Star Award for 2016 as well as the 2016 Great User Experience Award. According to the review team, Avatar Dialler is one of the easiest and most user-friendly call center platforms in their base and it didn’t take much to impress them. They were particularly fond of our solution because of the numerous innovations we provide and Avatar. The competitive edge of call service providers, as they explain, is the volume of international calls they can handle without compromising the security of data inserted in them. They discovered exactly this in Avatar Dialler, highlighting the fact that it effectively collates and controls inbound and outbound calls, enables users to insert unlimited phone numbers, records conversations and tracks duration and disposition, but most of all secure data in a way that it cannot be compromised. They also praised the numerous integrations that make Avatar Dialler functional in versatile software ecosystems, including some of the leading project management applications. Among other things, the experts also appreciated our 24/7 customer support, which they agree had plenty to do with why customers rated our product so highly.